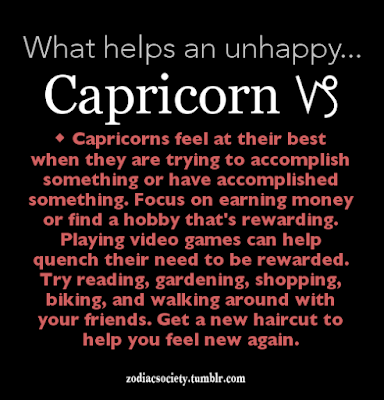 What Helps an Unhappy Capricorn | Capricorn Life - Capricorns Rock! 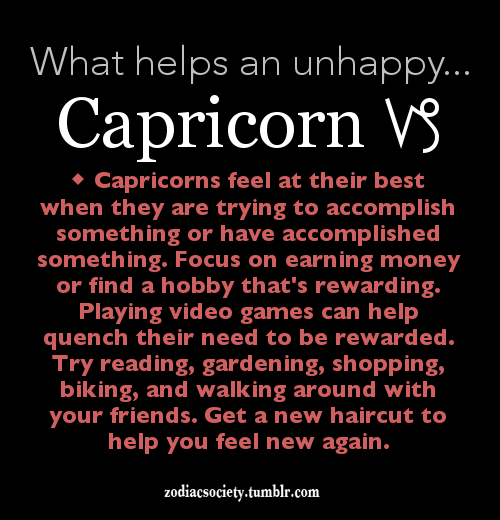 Capricorns feel at their best when they are trying to accomplish something or have accomplished something. Focus on earning money or find a hobby that's rewarding. Playing video games can help quench their need to be rewarded. Try reading, gardening, shopping, biking and walking around with your friends. Get a new haircut to help you feel new again.